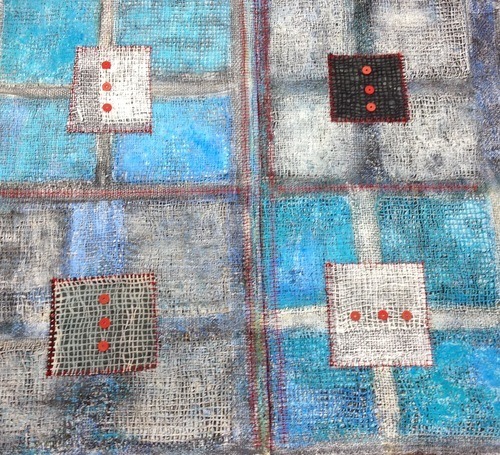 My good friend and great textile artist Susan Gernandt is teaching a workshop this summer at Arrowmont School of Arts and Crafts in Gatlinburg, Tennessee. If you’ve been thinking about learning about weaving and surface design, it’s your chance to learn from a great one - this is how I met Suzanne - she’ll have you doing great designs and exploring creative ideas in no time! I first met Suzanne when I participated in a class she taught titled “Layers of Colors; Layers of Meaning” at the Appalachian Center for Craft. The title of the class intrigued me, yet it is a perfect description of her work. Added benefit - Suzanne and I are exhibiting together now through the end of February at Aurum Studios in Athens, Ga. The reception is Thursday, February 6, 6-8pm. Come meet her and see our work!